Fullwidth page and other layout options made easy with Divi theme, save all your new content without worry of this, update in one click all your content with predefined settings. 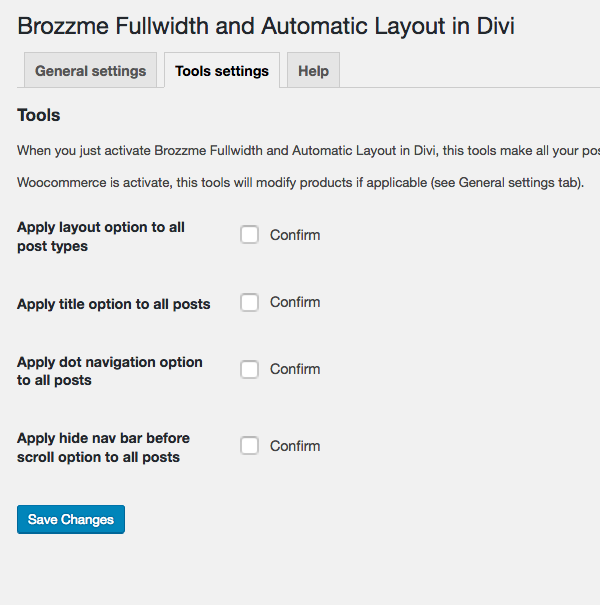 Brozzme Fullwidth and Automatic Layout in Divi is made to simplify the workflow when new content are created. Choose the predefined layout type and apply it on each post, page or product. You can also, hide or display the post title. A tools page in the setting panel allows administrator to modify whole website layout type in one click. 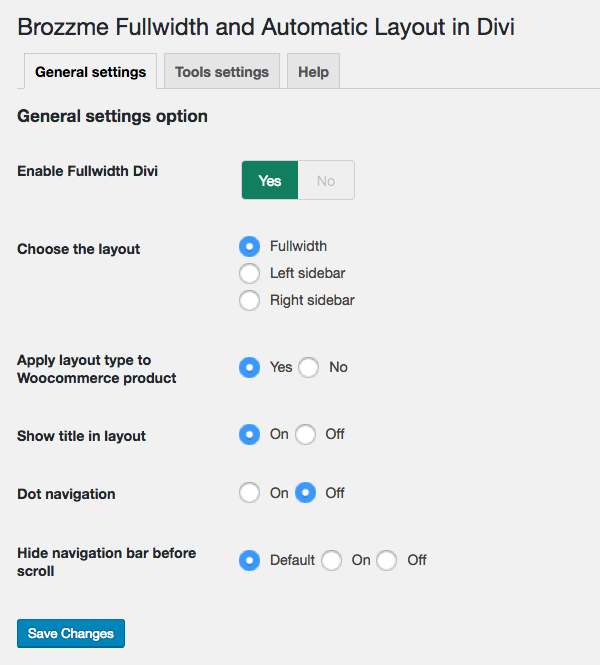 To use this plugin, Divi theme must be activated.